4 oz. Tin Max Mixers! Max Mixers are 4 oz. tins filled with 3.5 oz. of your very own creations! super scented overpour to create your own unique mixer! 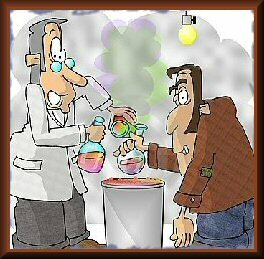 Use your imagination for endless wonderful scents! For use with warmer plates. 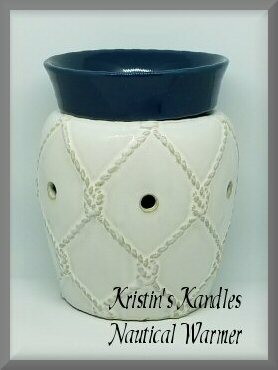 Simply remove the lid, sit on your warming plate and enjoy the super scent in your spaces! After your wax is done, keep the tin and place wax melts in and use it again! 3.5 oz. Wax topped with sparkling glitter! Single Scent Tin Max Wax! 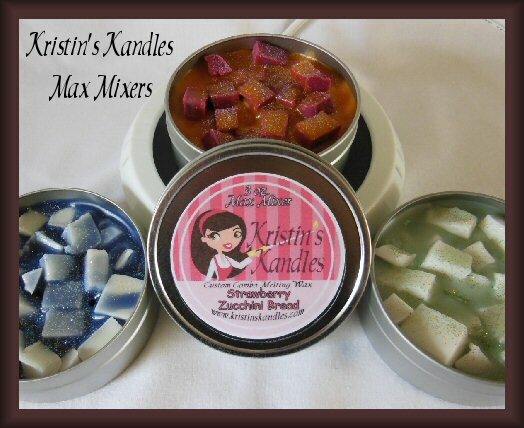 Max Wax are super scented and will fill your room with your favorite scents! Choose your super scented wax below. 4 oz. Tins filled with 3.5 oz. scented wax. 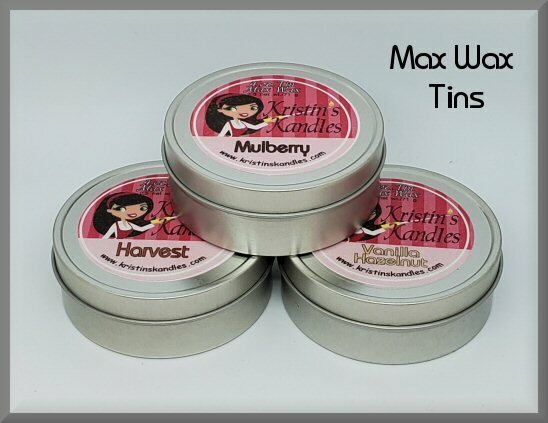 Max Wax Tins ~ $4.50! 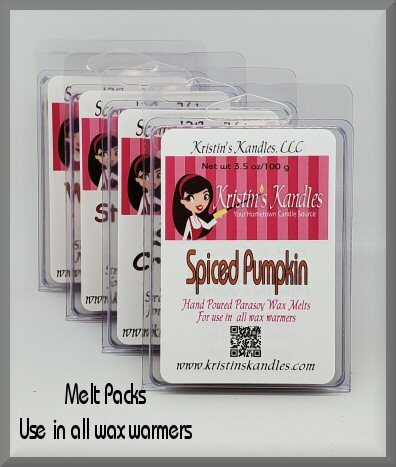 Clamshell melt packs are great alone or combine different scents to create your own favorite aroma! Stores in the clear plastic 'clamshell' container. Perfect for gift giving and for treating yourself! Get several! Each 'chunk' is approx. 1"x1"
"OR" Go For Four! 4/$18.00 - Put your four scent choices in the Comments section of the Shopping Cart. Now's your chance to get creative! Make your own custom blend by using the scent mixer below. Select up to three scents of your choice to create your own custom scent! Be sure that your two or three choices add up to 100%! You will receive a bag of 8 oz. or 16 oz. crumbles in your blend! Have fun! ~~ $9.00 ~~ 8 oz. Bag of your Custom Blend! ~~ $17.00 ~~ 16 oz. Bag of your Custom Blend! 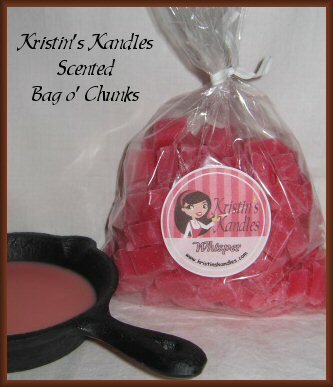 Scented chunk melts are very fragrant and come in a variety of scents. for mixing two or more together for your perfect blends! Try the Sampler option and receive 6 Bags of Crumbles; 4 oz. Each! $21.00 for a Crumble Sampler ~ Choose any 6 scents. You will receive 4 oz. of each scent! Pick your first scent from the list and add your five additional scents in the Comments section of the shopping cart! For use with melts sold above. 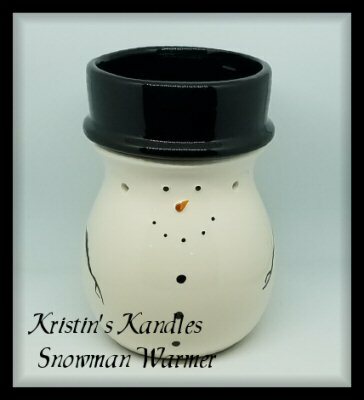 Get this super cute 25 Watt Snowman Warmer for your holiday decorating! Perfect gift for those wax lovers on your list! The hat removes for easy melt changes! 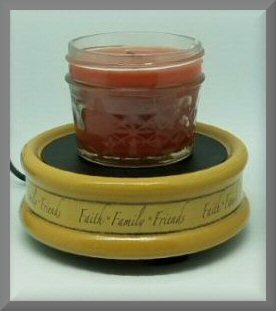 Electric 2 in 1 Warming plate heats dish to quickly melt scented wax. Remove the dish to use the warming plate for small jar candles. 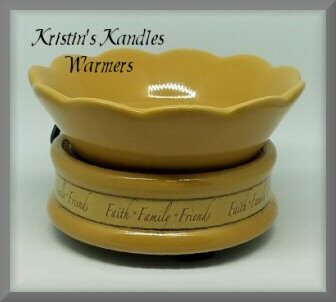 Words around the base of the warmer "Faith*Family*Friends"
Nautical themed 25 Watt scent warmer with a white base and navy colored removable top cup. 6" tall by 5" wide. On/off switch is on the cord with warming bulb included. 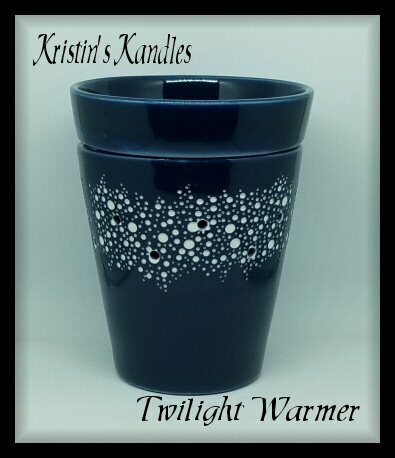 Twilight navy blue 25 Watt scent warmer with a dark blue base and white sparkle designs with removable top cup. 5" tall by 5" wide. On/off switch is on the cord with warming bulb included. Graphics, website design and layout copyright � Kristin's Kandles. All rights reserved.